The online M.S. in Human Security and Geospatial Intelligence (HSGI) empowers graduates to build leadership skills and pursue management roles within the geospatial intelligence and human security fields. It is ideal for individuals who thrive in highly dynamic, often chaotic environments and who have a passion for risk mitigation, disaster planning and threat response. At the culmination of the program, students take a capstone course in which they work directly with one of USC’s GEOINT partner organizations. The capstone coursework will involve an ongoing project, giving students a chance to apply everything they’ve learned to a real-world scenario. The human security and geospatial intelligence industries have strong need for individuals who understand spatial science within the context of relevant political, social and environmental forces. Master’s-level geospatial intelligence and human security professionals pursue senior-level and managerial careers in government, military and non-government humanitarian organizations. USC’s HSGI program prepares students to lead GEOINT initiatives and organizations operating at local, regional, national and international scale. The M.S. in HSGI program consists of 34 units, providing knowledge of GIS techniques and data within the context of incident preparation and response. The core courses provide deep understanding of human security issues and how they relate to man-made as well as natural disasters. Students will also learn the critical role that geospatial intelligence plays in military, disaster management and humanitarian operations. Through the capstone course and two focused practicums, students will also gain extensive industry experience to jumpstart their careers or make considerable leaps within their existing GEOINT careers. See the M.S. in Human Security and Geospatial Intelligence curriculum for more information. Our M.S. in HSGI, M.S. 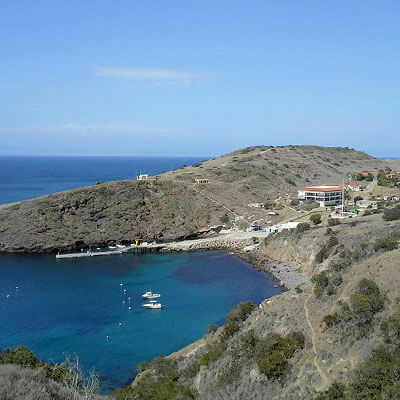 in GIST and graduate certificate in GIST programs will take students on a weeklong fieldwork excursion to the Wrigley Institute for Environmental Studies — a half-acre research and educational campus on Catalina Island.